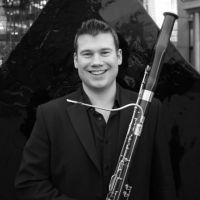 Additional Info: Professional freelance bassoonist based in Cheltenham, Glos. Studied at Wells Cathedral School on the DfEE Specialist Music scheme, followed by studies at the Royal Welsh College of Music & Drama, and Royal Northern College of Music. Currently Co-Principal bassoon, Orchestra of the Swan, Stratford-on-Avon. •	2000 - 2001 Principal bassoon; National Youth Orchestra of Wales. •	1997 - 1999 Principal bassoon; National Youth Wind Orchestra of G.B.